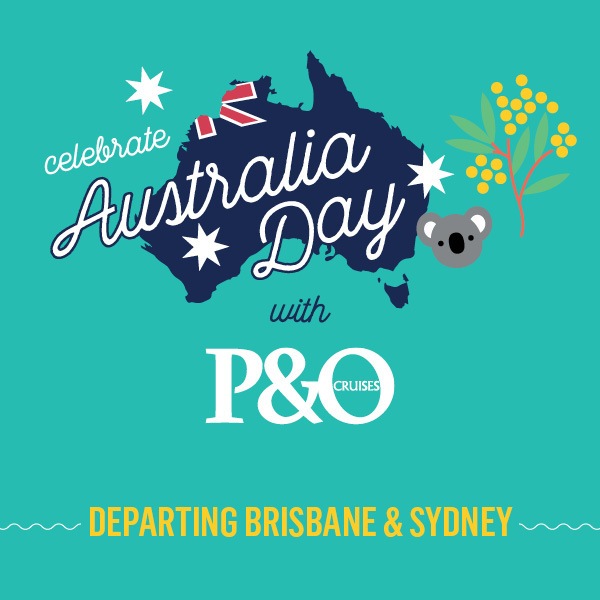 Each year P&O Cruises offers a selection of themed cruises to celebrate Australia Day. There are currently x2 Australia Day cruises scheduled for the year 2020. These cruises will be departing from Sydney and Brisbane, onboard the cruise ships: Pacific Aria and the Pacific Explorer. Australia Day cruise departing from Brisbane: After departing from Brisbane, you will cruise onboard the P&O Pacific Aria down to Sydney. You will then cruise into Sydney Harbour and under the picturesque Sydney Harbour Bridge, and then disembark for a day exploring the beautiful city of Sydney while enjoying daytime Australia Day celebrations. Your cruise will Sydney Harbour by 6 PM local time, spend a day at sea, and then return to Brisbane the next day. Australia Day cruise departing from Sydney: Celebrate Australia Day onboard the P&O Pacific Explorer for a 3 night cruise. You will cruise around Sydney Harbour to view the Australia Day celebrations from various prime viewing locations. Your cruise will depart Sydney Harbour by 5 PM local time, spend a day at sea, and then return to Sydney the next day.